What's a holobiont? You are! All animals and plants have developed symbiotic relationships with microorganisms. 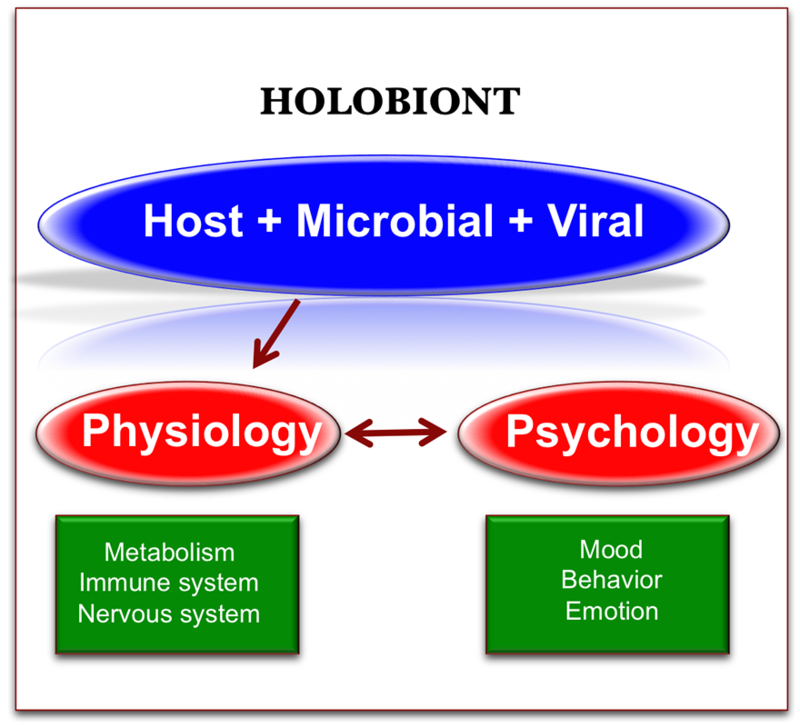 Holobiont is the term used to refer to the host plus all its associated microorganisms. As we understand more about the impact of the microbiota on host physiology it is becoming clear that we are multi-species organisms. Anatomically only approximately 50% of cells and 1 % of genes in the human holobiont belong to the host organism. Development of the immune system, peripheral nervous system and the brain are all influenced by the microbiota. We would not be who we are without the critical contributions of our symbiotic microbes.